Home | Infosource | Trends in the Marketplace | Don’t Send Emails Like This!! Don’t Send Emails Like This!! I’m going to jump right in and get blunt here. I don’t have time to sugar-coat this information because frankly — It’s costing you and your business numerous sales every day! Pay attention! Secondly, if you are doing some sort of ezine or eblasts then good for you; at least you’re getting something out there to remind your customers, prospects and contacts that you’re there and ready for their business or referrals. However, if you are NOT sending these emails by now through an online email marketing service/program then shame on you! You know there are Spam Laws out there right that you need to be following? Not only so you don’t get reported and halted from sending any more emails from your provider but also so you don’t develop a ‘reputation’ for spamming by the people in your circle (or outside your circle if you happen to be cold-call eblasting; this is BAD); you can blackball yourself you know??? 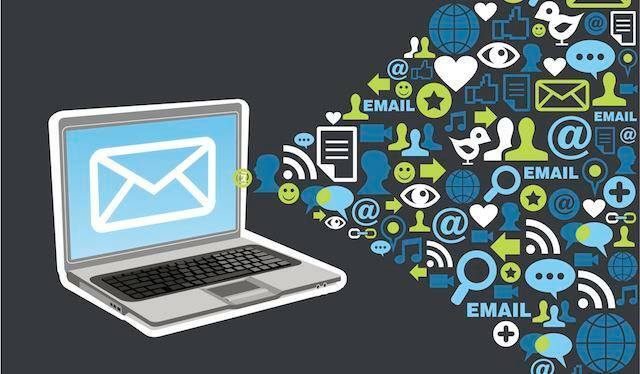 So here are some things you should NOT be doing when it comes to email marketing, eblasts, ezines, sending e-newsletters, solo emails, following up via email, etc. 1. Sending group or bulk emails via your Outlook, yahoo, aol, hotmail, comcast or similar email inbox. Because of many reasons but most of all deliverability, spam laws and tracking issues. 2. Sending text emails with a link to view your recent email newsletter, newsletter online or video message and nothing else is in that email but a “Click on this link to view message and your name” because they won’t click. 3. Sending eblasts or ezines without pictures, clipart or visuals. Which you can’t do effectively in the above email programs anyway. 4. Sending emails with a BORING or non-existent subject line because this is why people will click to open! 5. Sending emails without your picture of identification and personalization in them. 6. Adding people to email newsletters or ezines WITHOUT their permission! Huge email no-no. 7. Not identifying where or how you met people when you first follow up; they will not remember you! 8. Not giving your subscribers enough valuable content – they will unsubscribe if you try to just sell them! 9. Using canned or corporate eblasts or ezines because they are ‘easier’. They are not as effective however for building relationships which is what you need to be doing!